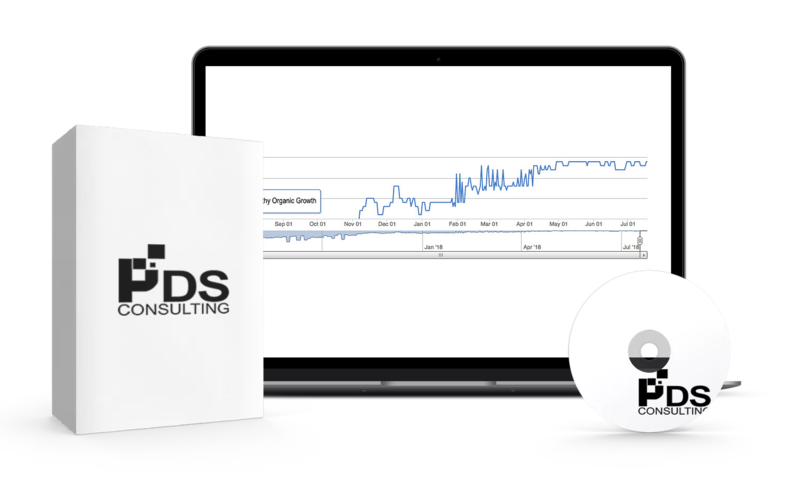 PDS Consulting Solutions are an SEO agency that runs incredibly successful SEO campaigns in the competitive sectors of travel, tourism and health. We employ a unique blend of technical and creative expertise though our diverse and dynamic international team. All our work is handmade, there are no artificial bots, spam, or scripts in our organic strategies, and every campaign we work on is entirely bespoke to your business, and your team. The team at PDS have extensive experience in our specialist industries as well as experience in international SEO and complex/non standard SEO, we thrive on out of the box solutions! Many of our team members have also ran successful independent businesses in these sectors so they have first hand experience of both client and agency side issues. We understand that every business is unique and has different requirements. to our clients and work as an extension to your marketing team to get the very best out of every campaign. We also know that there’s nothing worse in today’s online market than pushy salespeople, which is why we don’t employ any. If you offer services nationally or internationally or wish to become the market leader in your industry contact us for a custom quote. 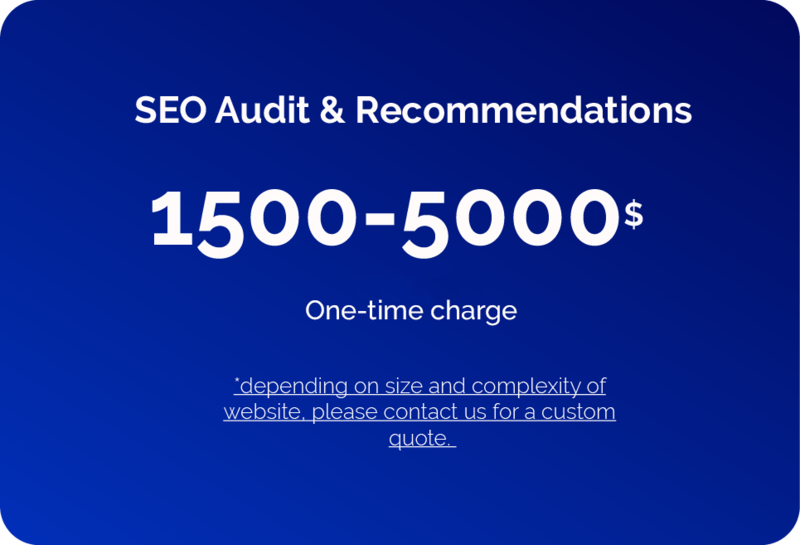 If you have a current website but are unsure of how the website is set up to perform for SEO, it may make sense to have an SEO audit completed. An audit can give you insight into the challenges you’re facing, why you may not be achieving your SEO goals and also realise the strategies your competitors are using to be successful. We can also help you determine whether a website redesign or rebuild may be necessary to implement a successful ongoing SEO campaign. If you have suffered a drop in rankings and organic traffic due to a Google Algorithm update, don’t panic all is not lost. Have you invested years of time and thousands of dollars just to see it all lost over night in an algorithm update? You are not alone, the online industry is full of unscrupulous and inexperienced companies who claim to be able to increase your Google rankings and then undertake illicit practices to make this happen. 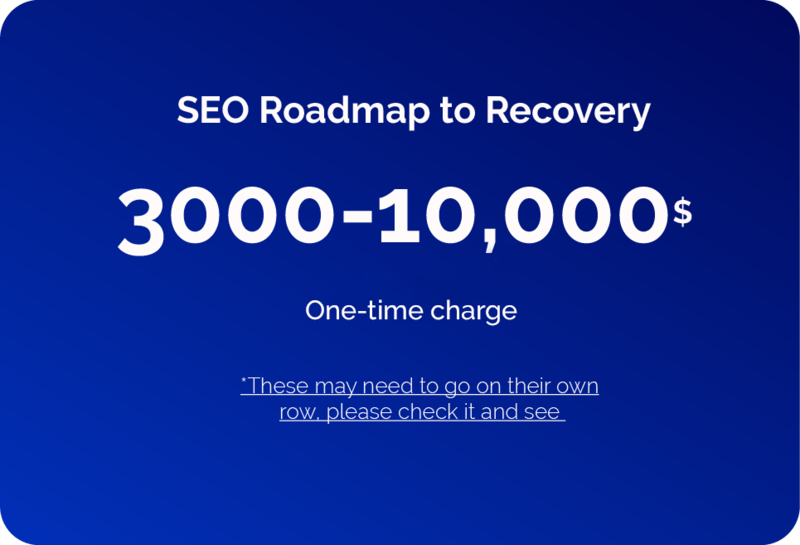 If this has happened to you then you need a roadmap to recovery which will enable you to get back on the right track and regain your previous rankings. *If you’d like to find out more about our unique approach to search engine optimisation or request a proposal for any of our services, please get in touch using the form below. The cost per conversion more than halved!